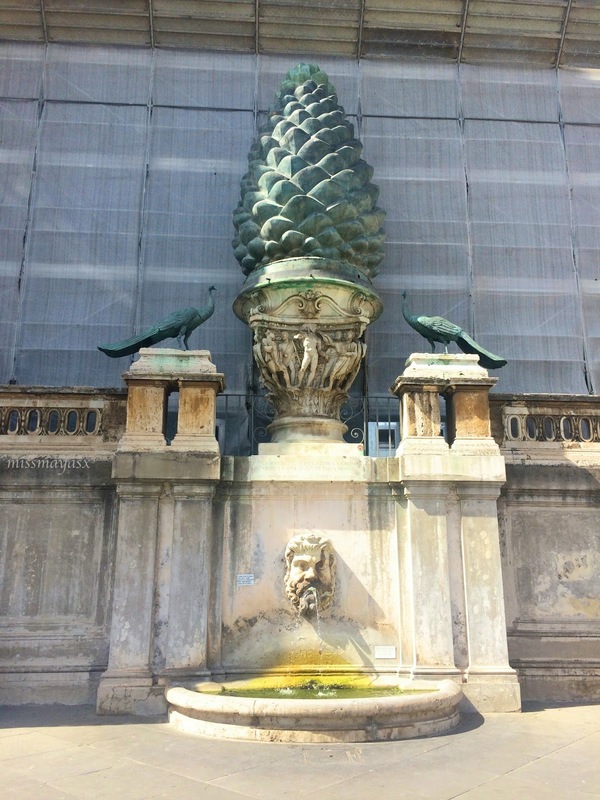 Those of you who follow me on social media will already know that I have been on holiday to Rome back in July. I did plenty of research before my trip and have also learnt a lot of helpful tips while on holiday. 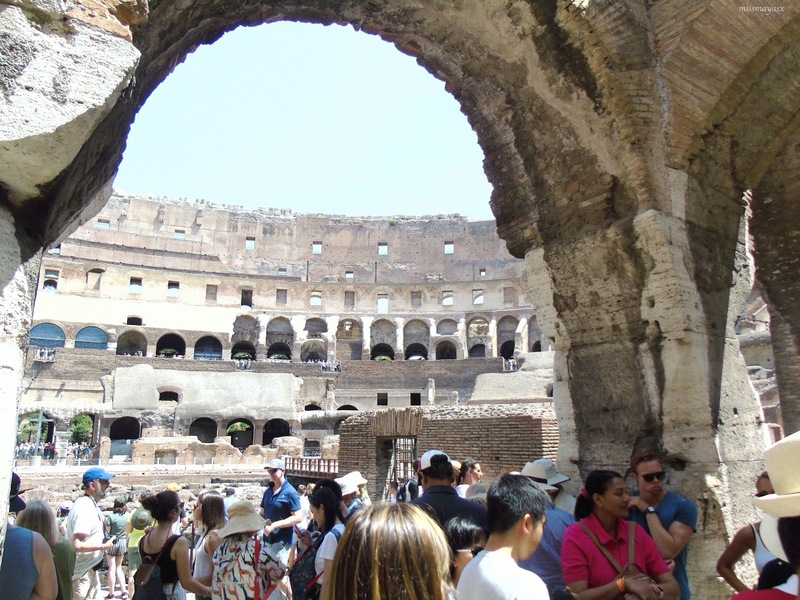 Obviously, this post will include the Colosseum etc. but I will also mention how I saved a lot of money and made the most out of my trip. The Colosseum is honestly breathtaking. We went to see it on the first day of the holiday, but we kind of didn't have a choice as we stopped on the metro directly outside the building haha?? It was VERY busy. I believe we got there for around 12pm, so it was a very busy time and full of people either trying to sell you something or bumping around into each other because of how confusing everything was. 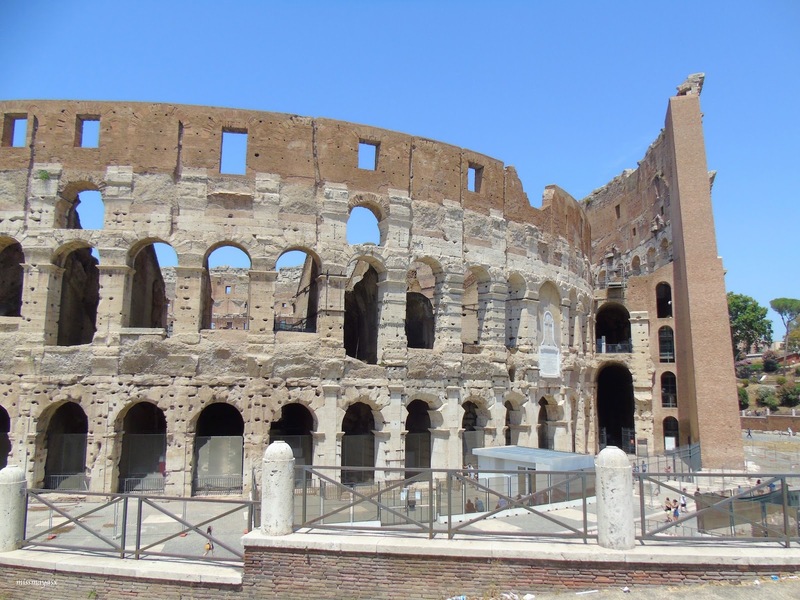 We decided to go with a tour agency and booked a tour of the Colosseum with a tour of the Palatine Hill for only €30 which took around 3 hours altogether (there was a break in-between the two tours). One thing that we were annoyed with was that we were lied to about entry prices without a tour. We've been told that it cost €13 to get in with a two-hour queue, however, when we were waiting for our tour to begin, the prices were announced via a speaker as €5 per adult and €3 per child... So if you don't fancy spending a lot more money but don't mind waiting in the queue then I suggest just doing that. Also, prices online for a tour are a lot higher than what you could haggle to in person, so try to avoid buying tickets for events/tours online! This was probably one of the most money-saving decisions I made. 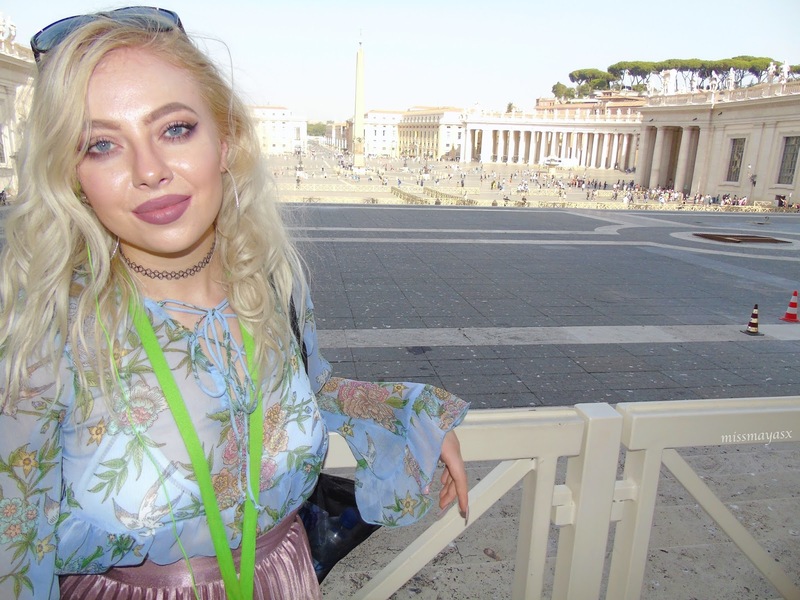 One of my good friends, Rebekah, has been to Rome last year and she advised me to get a weekly ticket as they work out cheaper than having to buy a return one every day. I believe that a 24h return ticket cost €7, but the weekly ticket only cost €24, so as long as you went out 4 days out of 7, then it was worth it. I and Kieran went out into the city or around the city every day so we definitely got our money's worth. 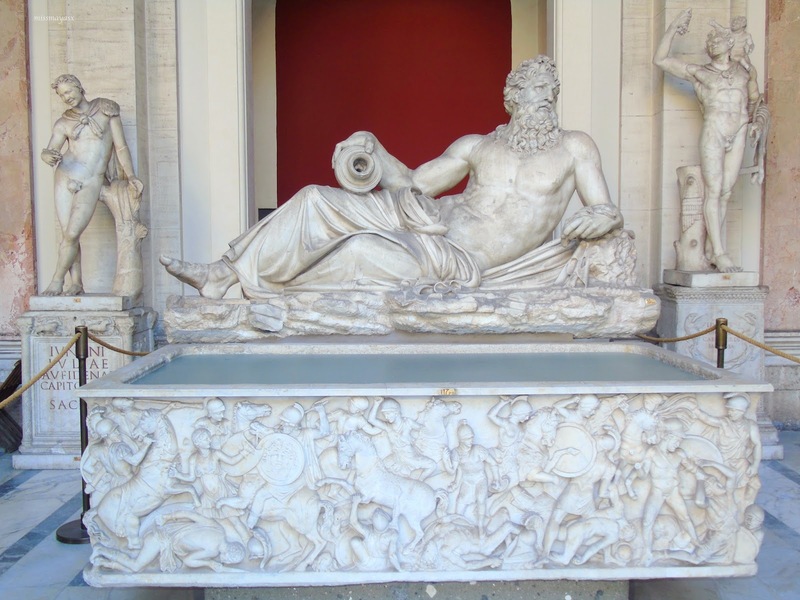 My mum was most excited for my trip to Rome due to her fond memories of the Trevi fountain from when she was young. We actually got lost twice in a row when we tried to find the building but came across many more beautiful places so we're not complaining, ha ha! The fountain was very beautiful (and packed), it was a very hot day so a lot of people were trying to dip their hands in it. 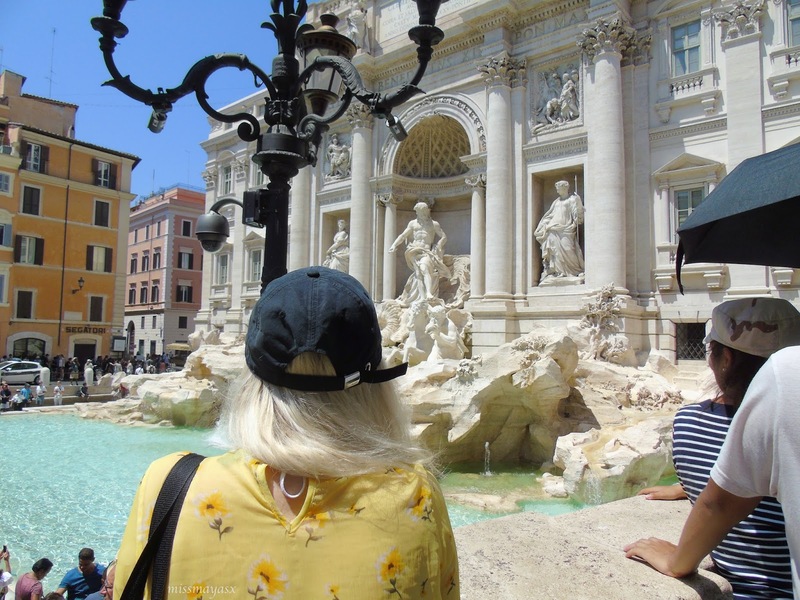 There will be people trying to sell you selfie sticks for around €10 so just tell them you already have one or say 'no grazie' and it should get them off your back! 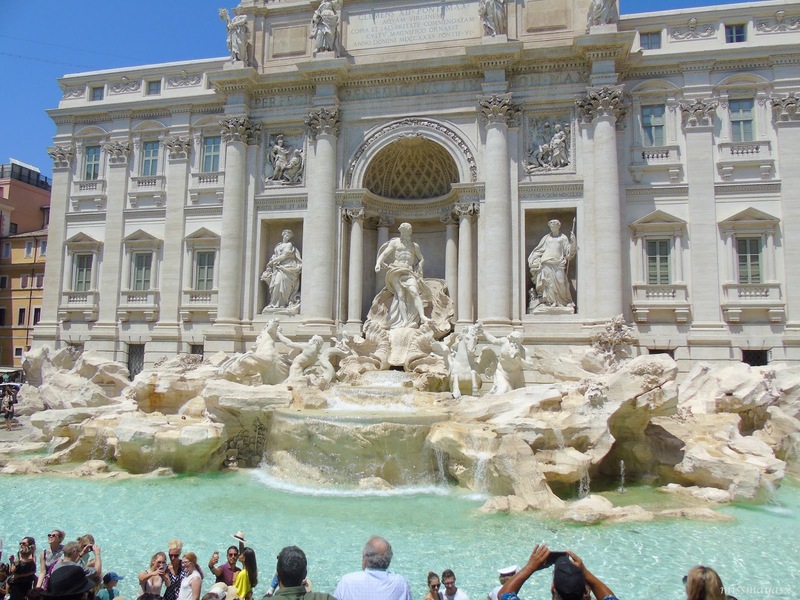 The main attraction about the Trevi fountain is that you throw a coin in and make a wish. I made mine, would you make yours? 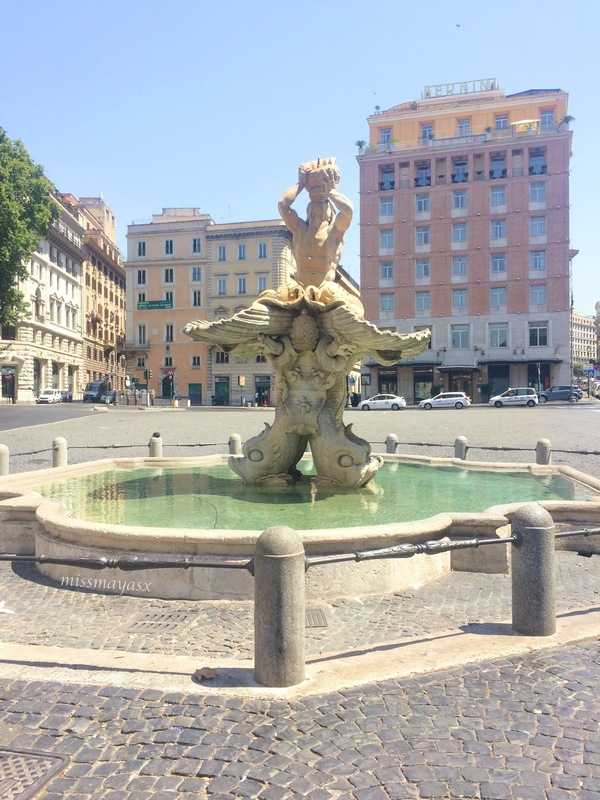 The best thing about travelling to Rome is that there are plenty of drinkable water fountains which you can use to fill your water bottle with. I think the government introduced these because of the high rates of homelessness, which is a fantastic idea as it keeps everyone hydrated + it's free. 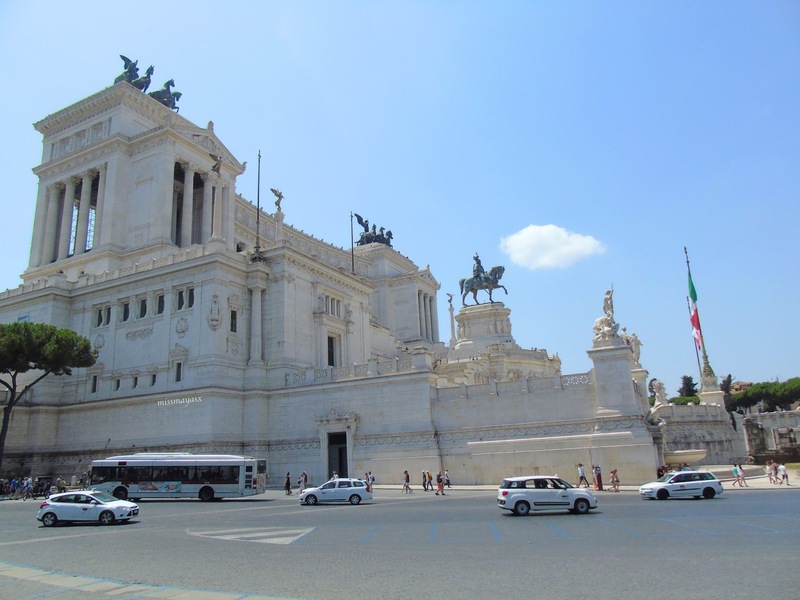 This little tour was probably the highlight of our holiday as we headed off to visit one place and ended up exploring half the city. 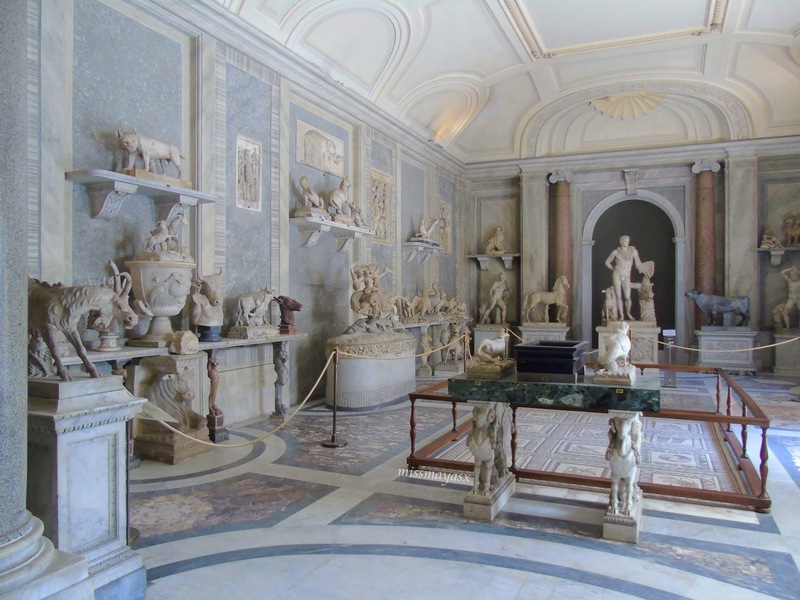 The museum itself was absolutely gorgeous and full of exciting stories to be told - we booked a tour of the Vatican as we wanted to find out the history behind it. 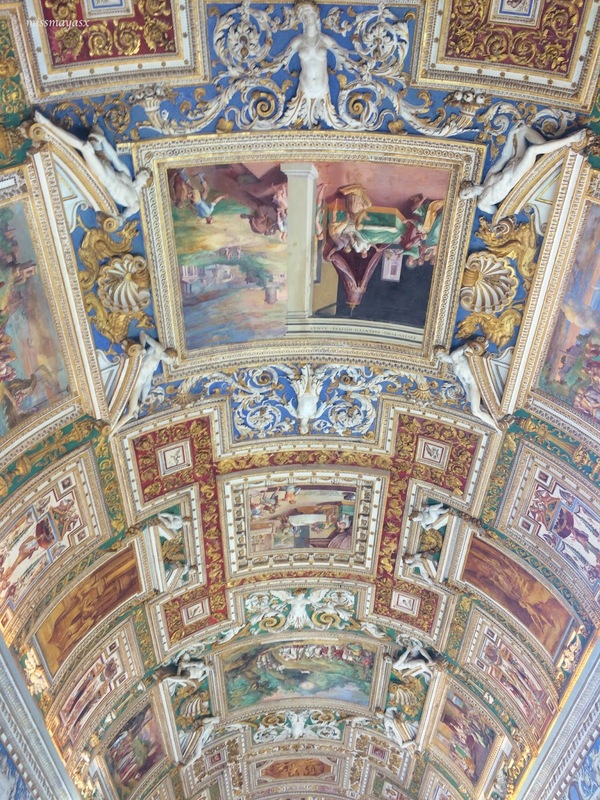 I really enjoyed the beautiful paintings on the ceilings and the tapestry as we headed towards the Sistine Chapel which Kieran was looking forward to the most. 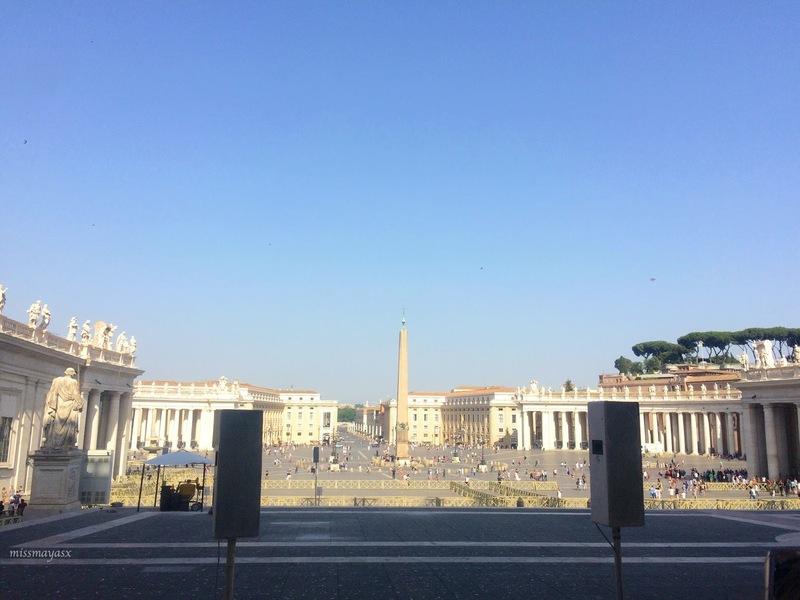 We paid €40 each, which included a guided tour of the museum and chapel, as well as entry to the basilica - it was worth it, however if you're not into guided tours and prefer to take your time observing all statues etc. then a normal entry ticket costs €8 and the best time to go would be around 3-4pm as that's when it's most quiet. Because the Vatican is a religious place, you're required to cover up your knees and shoulders out of respect. It's better to be prepared than be rejected at the door and forced to buy a pashmina to cover up - this concerns both men and women. I originally wore a red dress and then got changed into a midi skirt and long sleeved top. 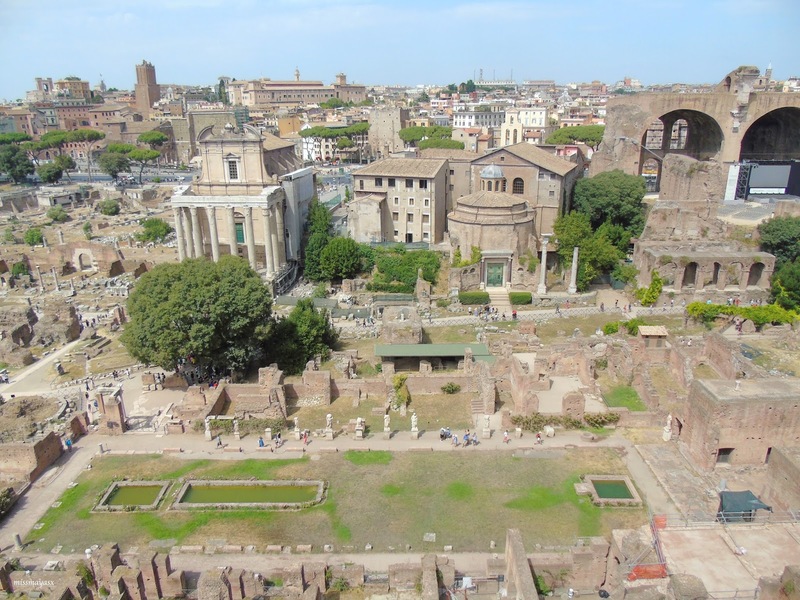 In our little Colosseum tour guide package, we also got tickets for a guided tour of the Palatine Hill which is just a 4-minute walk from the Colosseum. Once the tour was over, we headed off to the very top of the hill to take some pictures (and fill up our water bottles!). The views were beautiful, you could see the whole of Rome from there! 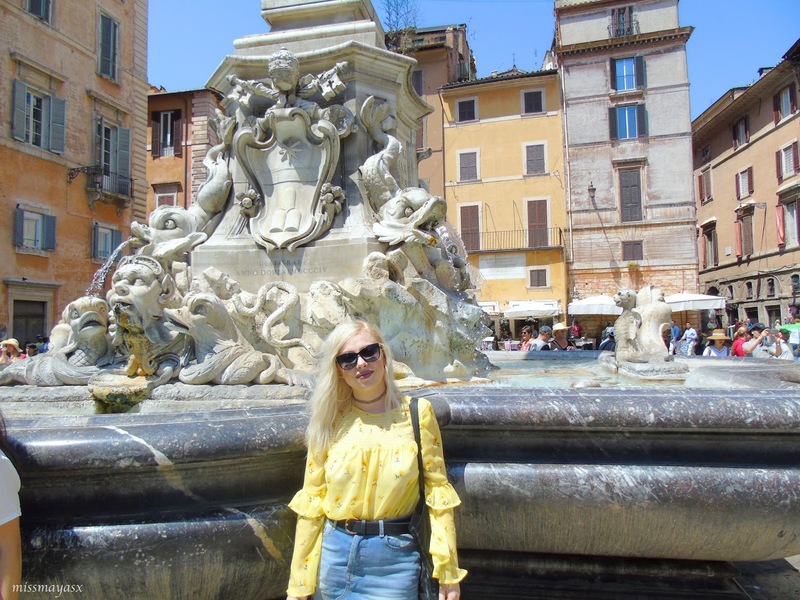 Tip #4: If you get hungry and fancy something quick and easy then I suggest going to a local pizzeria or a takeaway and share a pizza as they do come quite big! Prior to our trip, we both did some research to see what places we'd like to visit the most and where to eat etc. I had a list of things to do saved on my phone so every night we would plan out the next day and what to do. This helped us come across many beautiful places and we will treasure the memories made for the rest of our lives. Getting a map was probably the best idea we had as it saved us so much time trying to navigate ourselves by either asking people for directions or trying to find a decent wifi connection... I know that a lot of companies provide free roaming abroad, but mine for some reason wasn't working at all. 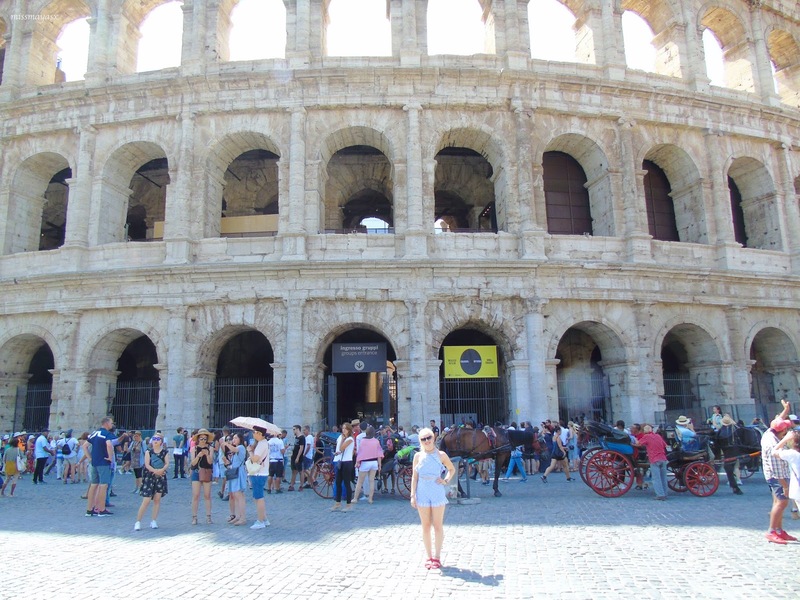 Overall, I had an amazing experience when visiting Rome and because I did everything I wanted to (and much more) that I feel like I won't have to return for a while just because of how fantastic my trip was. 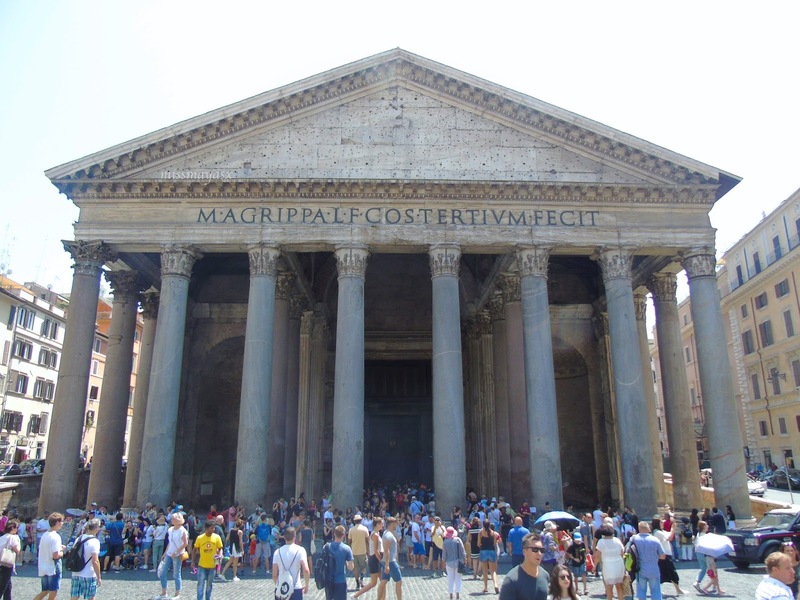 Have you been to Rome or are planning on going?